I bet you thought choosing the right tile for your shower would be difficult. There are so many different tiles to choose from and it can be overwhelming at times. But guess what, our experts at Plumbtile are here to guide and help you with choosing the proper tile. The tiles that are best to use in the shower are ceramic and porcelain. You do not want to use materials such as wood or linoleum. These most likely will get wet and create moisture which could cause lifting or hazardous molds. First let’s consider the layout of your shower and the color. Once you have established your color choices and design, you will want to choose the shape and size. 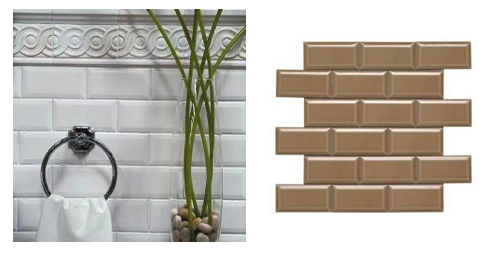 It’s fairly easy to choose tile shapes, sizes and colors. If your shower is smaller you will want to use lighter colors and tiles that are more elongated. Go for a vertical look to make the shower appear bigger. If your shower is large you have more options. Adex floor tiles would be a perfect inlay for a shower floor. They are very versatile and can fit many shower designs. The proper tiles to use in your shower would be those that are slip-resistant. Glazed ceramic tiles for the floor of the shower can develop a slip hazard. You may want to go with porcelain for the floor instead. Also take into consideration the slope of the shower floor. 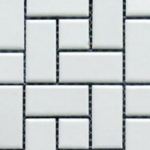 You want to make sure your tile will fit properly with the curve and slope of the shower tray. Wall tiles for the shower are much easier to choose from. You can really go with many different types of tiles but our Hampton Collection offers a beautiful line of finely crafted tiles. The magic begins with the tiles glazed surface which is reminiscent of a fine wine that has aged to perfection. The crackled effect gives the tile a subtle character and an individual mystique. This line is extremely versatile and can be conducive to traditional, transitional or minimalistic styles. There are many decorative components and finishing trims to complete your design.